Discussion in 'TV Show Forum' started by krish, Feb 28, 2013. Psych The Musical - It's Astoundashing! Oh well, looks like im missing another episode. Psych The Musical -- Behind the Scenes Too! A chance to buy part of the show in aid of Alzheimer's Association US. "Hollywood collectibles auction site ScreenBid will host an exclusive online auction of about 200 props and memorabilia straight from the set of “Psych.” Launching on March 21, the auction will run for seven days, and will include a live auction of the “Blueberry,” the show’s iconic 2004 Toyota Echo". Latest episode of this was CRAP. Been waiting to hear about a reunion special. They mentioned making them around the time of the finale. Three years is a reasonable gap. Their earlier Christmas eps were some of the best, enjoyed Shawn's correct predictions of his dad's presents. Perhaps this might be an annual thing? I thought USA Network were also going to be doing this with Monk too. What an odd headline. He certainly didn't make Heroes: Reborn any 'better'. 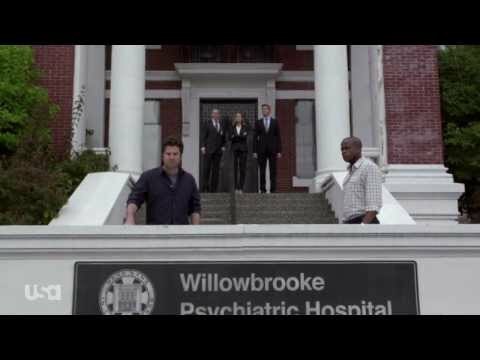 Psych is made great by Shawn, Gus, Lassie and Jules. 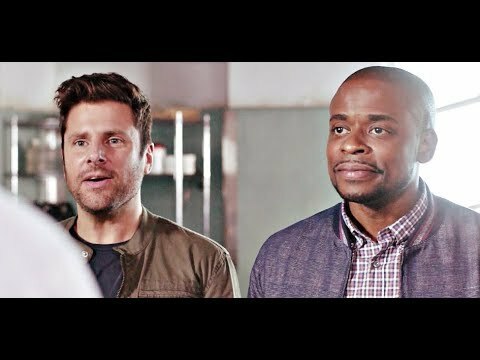 Psych movie cannot get any better than being done, no matter who else joins. Why don't he go back and give us Chuck fans a proper ******* ending the douchebag. You going to end a TV show don't leave it open to interpretation. as long as it ends with himself and Sarah married and starting a family which the whole show was leading up to before they left it with that open ended BS they left us with. some muppet nicking the ring I mean seriously, are you kidding me. If I was rich I might be tempted to go visit these writers and producers and punch them in the face. So happy most of the main cast is back, interactions with Lassie should be fun. I hope the morgue guy is there as well, he was a creepy sob. All the the main cast are back. Latest news is Ralph Macchio reprising his original guest role. I loved the Police Acadamy episode. WWE Superstar Charlotte Flair has joined. Flair will appear as Heather Rockrear, the badass sidekick of Zachary Levi's villainous character Thin White Duke. The daughter of wrestling icon Ric Flair, Charlotte Flair is a 4-time WWE Women's Champion and was featured in the first women's match to headline a WWE pay-per-view. The role in Psych marks Flair's official acting debut, but playing a villain will be old hat to the Superstar, who used to be a major heel in the WWE before turning face. I knew Mary would be back, but in what form? Series star Dulé Hill revealed it in a video message delivered at New York Comic-Con, telling fans that Psych: The Movie will bow December 7 at 8 PM ET.